Length: Approximately 1 mile in total. When to Hike: March through November. Essentially, year-round except for the snowiest times of the year. Special Features: Multiple crossings of Big Springs Creek and its side canals. A shady and cool mixed conifer forest with a broad riparian zone along the waterways. . A very peaceful isolated corner away from the “hustle and bustle” of Mt Shasta. Direction to Trailhead: Take the Central Mt. Shasta exit off of I-5 and then go west on Lake Street for about ½ mile to the stop sign junction with North Old Stage Road. Go straight into the Sisson Museum parking lot. The trail begins through a gate on the north side adjacent to a kiosk describing the trail (see photo above). An alternate route is to take a right (north) on North Old Stage Road about a quarter mile and then right again into a small gravel parking area. The trail begins by a stone monument describing the trail and nature preserve. 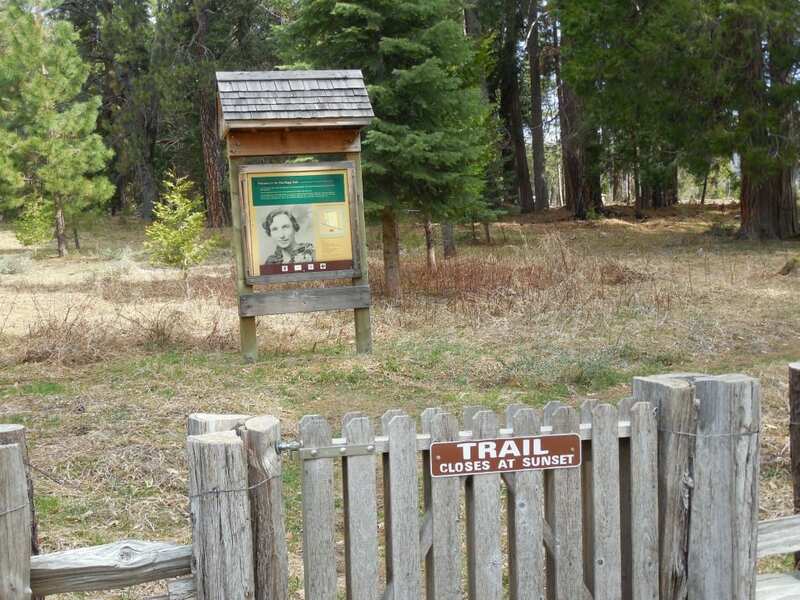 Description and Comments: Once you’ve hiked the short distance though the Sisson Museum/Fish Hatchery property and crossed North Old Stage Road, the main part of the Elsa Rupp Trail is in front of you. Now begins the best part of the trail as you enter the Elsa Rupp Nature Study Area, which was donated to the Department of Fish and Game in 1973 by Elsa in memory of her parents and brother. 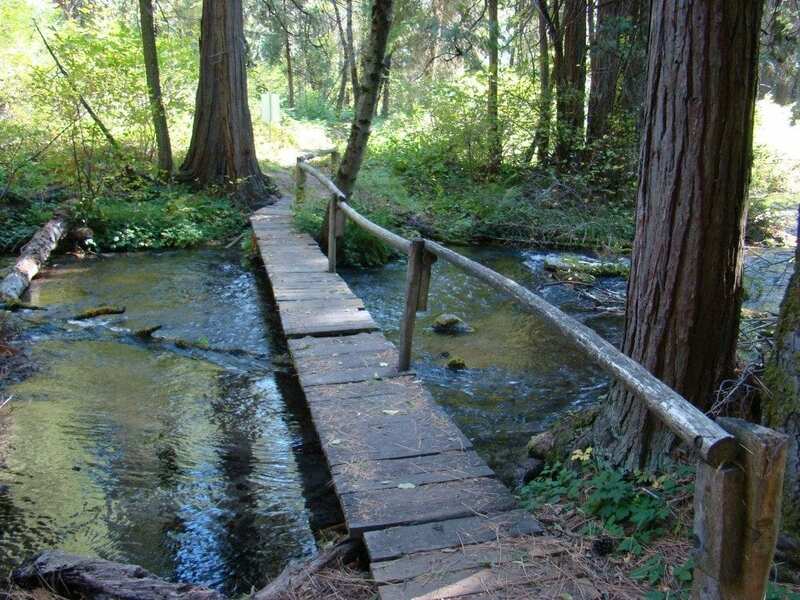 The trail parallels and crosses Big Springs Creek, the water supply for the fish hatchery. The nature study area helps keep these waters pure, as trout can be very susceptible to diseases as they are raised in a hatchery. There are several trails one can explore and loop, covering about 1 mile in total. Even though a short hike, it provides you with loops within loops and several bridges crossing the creek and canal. Leave a few bread crumbs at the first junction and you won’t get lost. Enjoy this hidden gem just a stones throw from Mt. Shasta City.